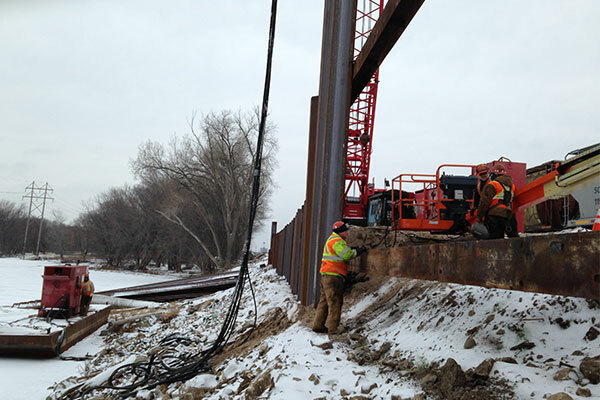 Kraemer is constructing a 900-foot-long sheet pile wall, which includes 1,5000 cubic yards of granular fill and 117 helical anchor tie backs. The wall will be installed between Canadian Pacifica Railway’s existing rail yard and Pigs Eye Lake in St. Paul, MN. The wall is being constructed in 20- to 45-foot phases to accommodate Pigs Eye Lake’s shallow depth, which is not deep enough for marine access.